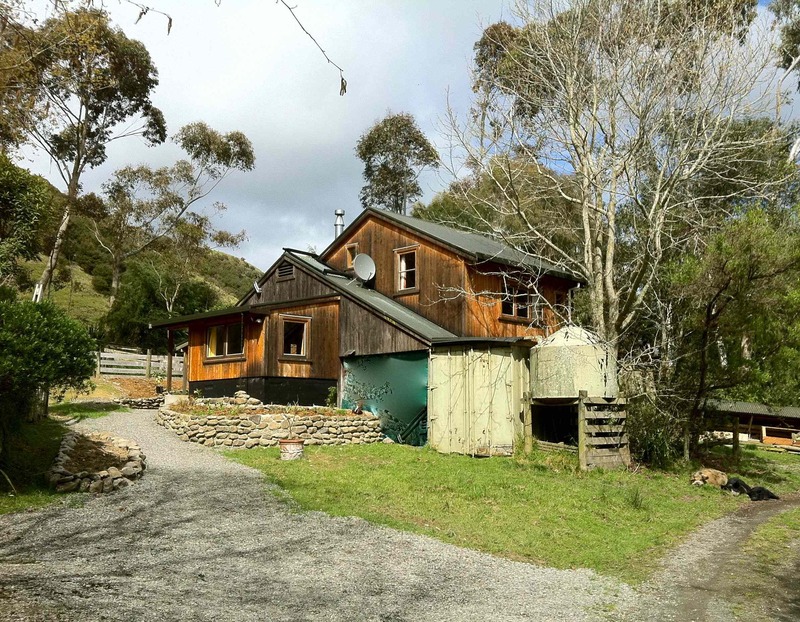 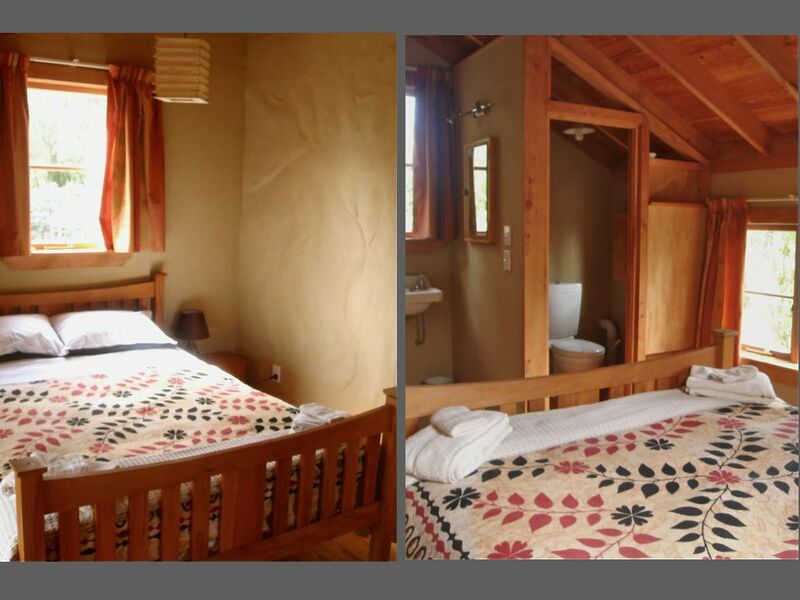 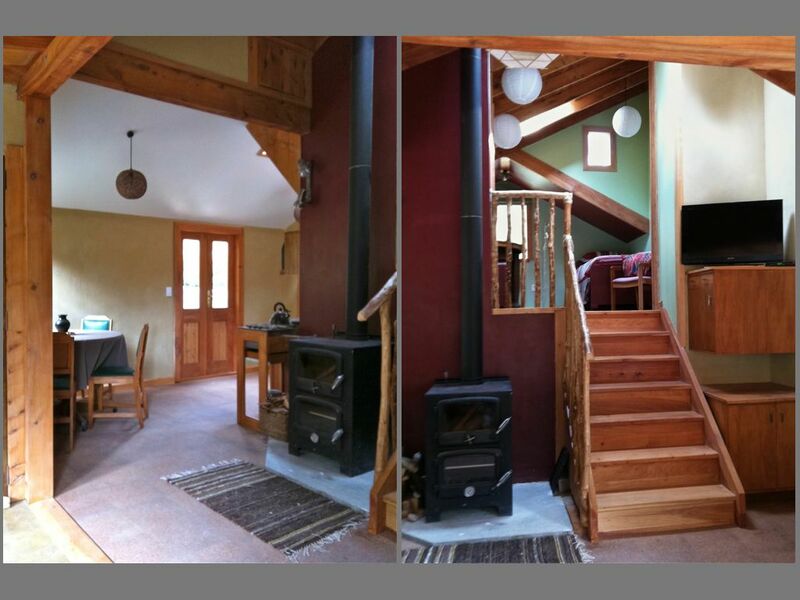 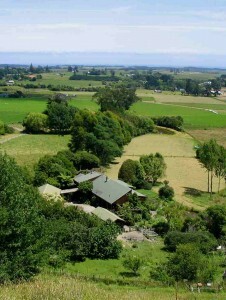 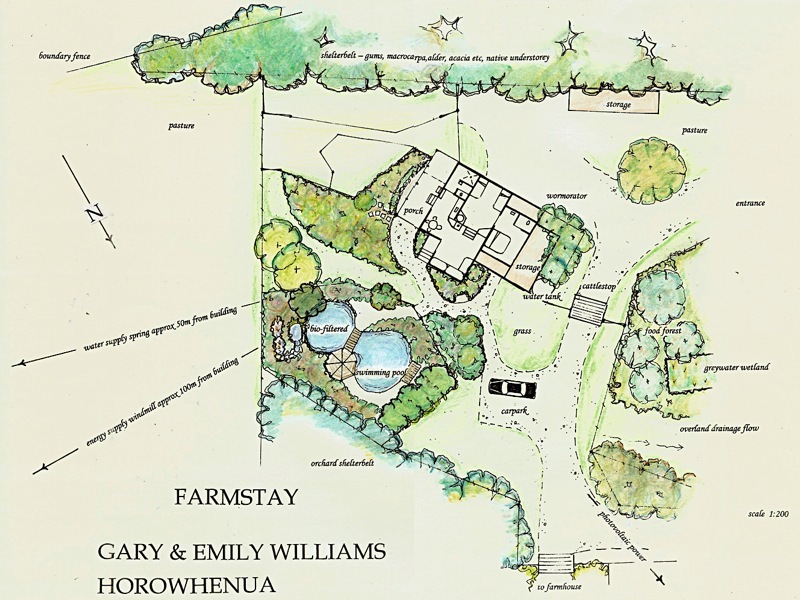 Hanawera Farmstay is a self-contained Eco-Cabin situated on our 50 hectares of organic farmland and native forests. View of the outside of the farm stay from the north. View of kitchen & dining area, and stairs to bedrooms. 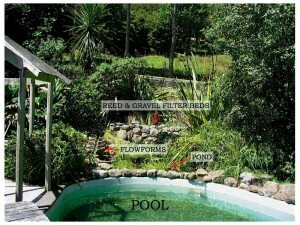 The bio-filtered swimming pool immediately beside the farmstay. 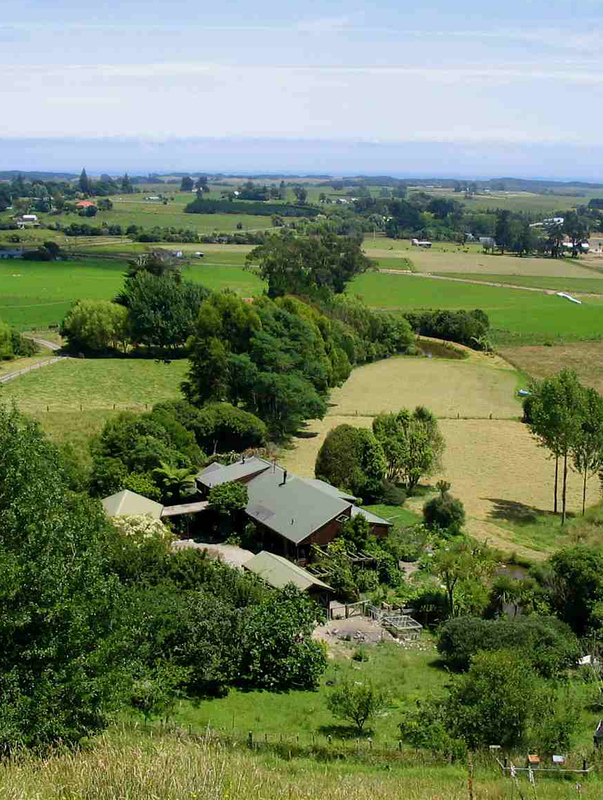 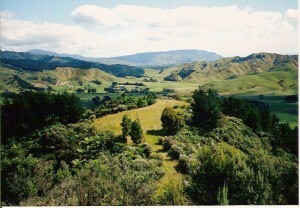 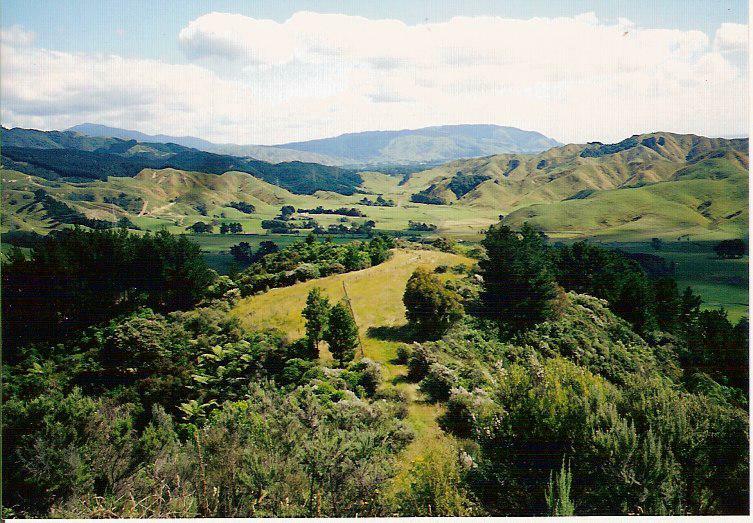 Farm and forest walk along ridge lines and tracks, with views over the surrounding coastal plains, inland ranges, and of the volcanic mountains in the North Island, and ranges of the South Island.